Stoney Rovers has yet to win in this competition, having lost all 5 games. Bunclody A.F.C. 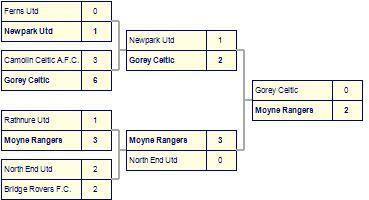 B's last result was a unlucky 0-1 loss at home against Kilmore Utd. North End Utd take spoils against Stoney Rovers.